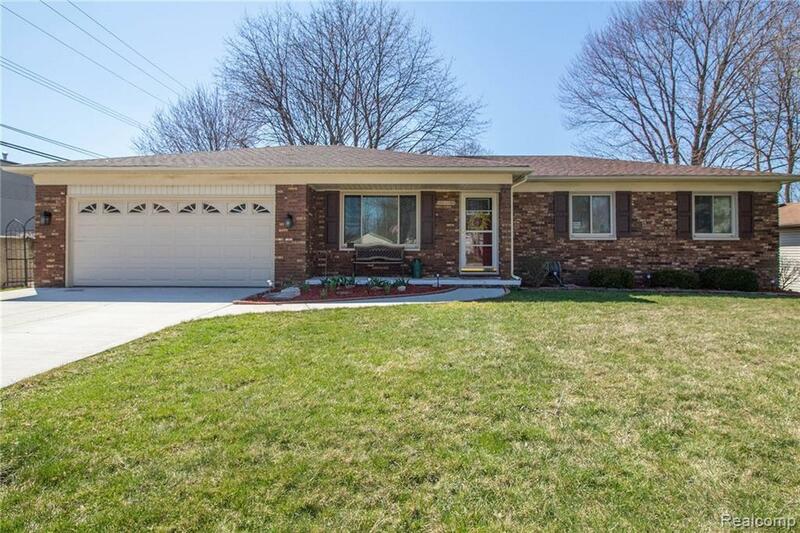 Completely remodeled ranch with beautiful curb appeal. Meticulously maintained and updated home. Stunning remodeled kitchen and full bath, completely gutted 2014. Kitchen with new flooring, granite countertops, new backsplash, and ample cabinetry opens to living room with great natural light. Doorwall from eat-in kitchen leads out to awesome deck with stairs down to brick paver patio and fenced yard. Large full bath with beautifully tiled shower and dual sinks. Tons of updates in 2017 including brand new roof, furnace, extended driveway, carpet, paint, gutter guards, all interior doors and front door, fence, brand new fuse box, and new molding throughout. Two sheds in fenced yard add tons of storage space. Great garden area along the side of the home. Two car attached garage is extra deep with workshop area. Crawl space was professionally encapsulated. Entry floor laundry room. Move in and enjoy!